Check out the first-ever Giant Unicorn Island! 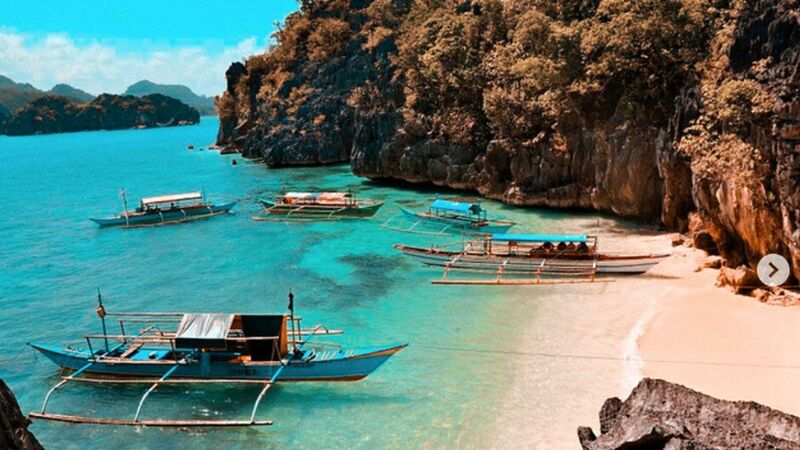 When the Philippines' very own Inflatable Island opened in the waters of Subic Bay in Zambales in April 2017, kids and kids-at-heart everywhere were very excited to try out the giant trampolines, Tarzan swings, monkey bars, and slides. 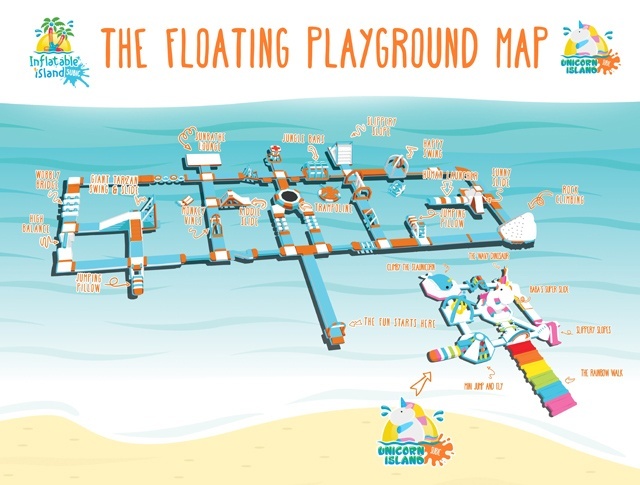 The floating playground is the size of eight basketball courts combined, and the attraction was the perfect summer treat. 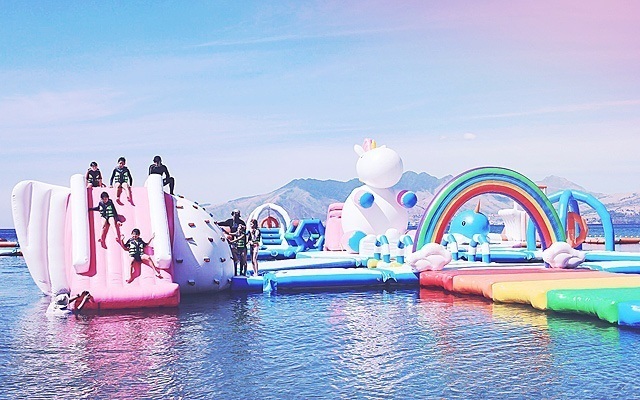 Now that beach season is rolling in once again, Asia's biggest floating waterpark opens a new addition: the Giant Unicorn Island that's all things cute and colorful. 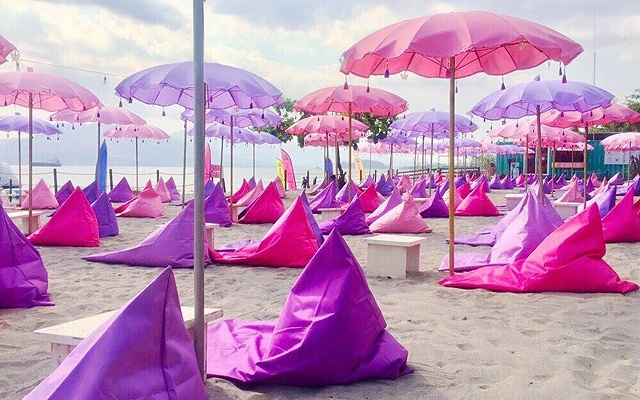 The Bali-inspired lounge has also been transformed into a pink oasis to match the bright hues of Giant Unicorn Island. The new playground features a rainbow walk, a mini-human launcher, a climbing wall with a sea unicorn on top, and a huge slide on the back of Babaâa gigantic magical horse. New floaters are also available, including the pink flamingo and unicorn cabanas that can hold up to six people. 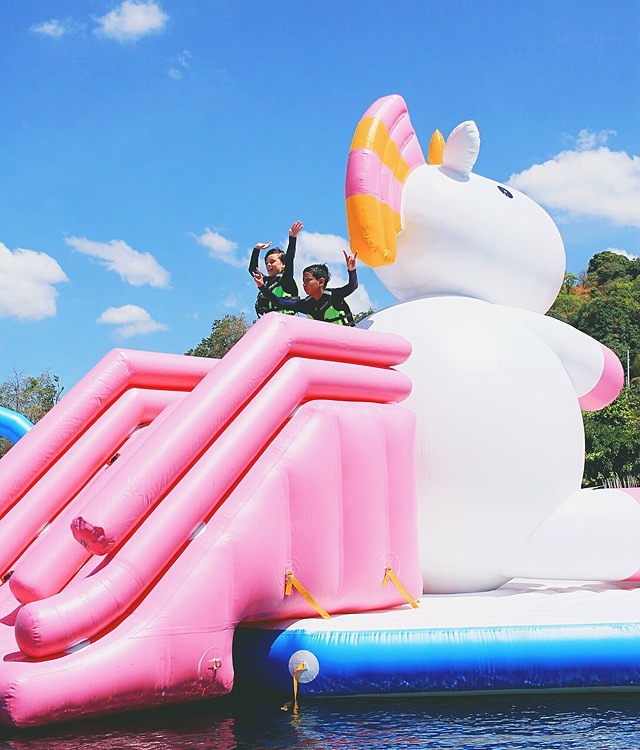 Like the rest of Inflatable Island, it's suitable for both children and adults; just make sure that the little ones are over three feet tall. Inflatable Island is at Samba Bluewater Resort (formerly Subic Half Moon Beach Resort), Olongapo, Zambales. It is open from 8 a.m. to 6 p.m. Tickets are at P499 (one hour), P699 (two hours), P999 (half day), and P1,399 (whole day). For more information, visit Inflatable Island's website.